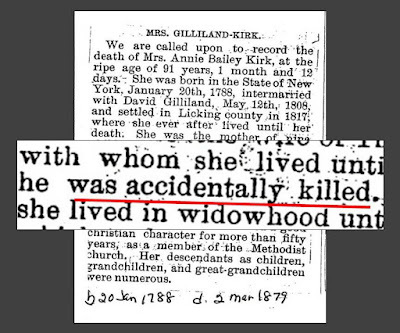 On December 3, 1846 - 170 years ago today - my 5th great-grandfather Thomas Kirk was "accidentally killed." He was approximately 68 years old. In March 1879, Thomas' second wife Anna (Bailey) Gilliland-Kirk passed away. Her obituary provided the tantalizing information regarding Thomas' death, but gave no further clues about the nature of the accident. His descendants have no existing lore to shed light on the cause of his death. Some speculate a farming accident. No one knows what happened with certainty. Thomas lived in Licking County, Ohio at the time of his death. The Library of Congress' Chronicling America database indicates that the Newark Gazette was published in Licking County from 1843-1852, but just a handful of papers from that run still exist. The Western Reserve Historical Society has some issues dating back to 1846. I'm hopeful that an article regarding Thomas' accident was published and survived in their holdings. Sadly, on this anniversary, Thomas' original headstone no longer stands for his descendants to honor him. It disappeared sometime after a 1970 census of the cemetery, which recorded the stone's engraved birth and death dates. The current caretaker believes that many of the cemetery's old damaged stone markers were buried on the grounds. 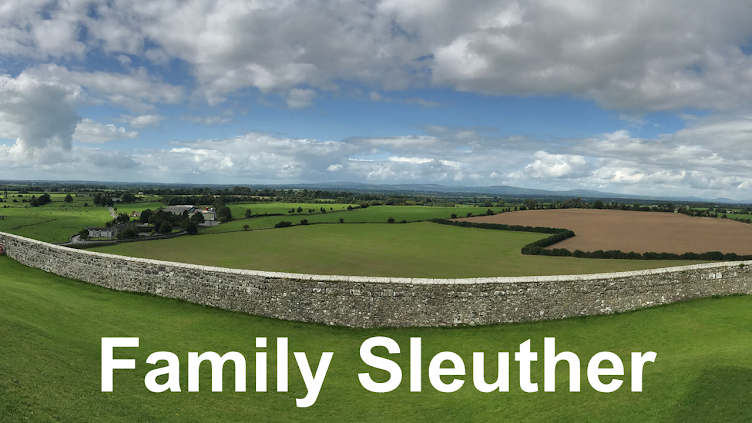 I'm hopeful we can pinpoint its location, dig it up, and restore it for another 170 years.